One of our new macaron flavours inspired by Syai's fav coffee "Caramel Macchiato" is brought to life in cake form as an irresistible take on a coffee shop flavour combination. 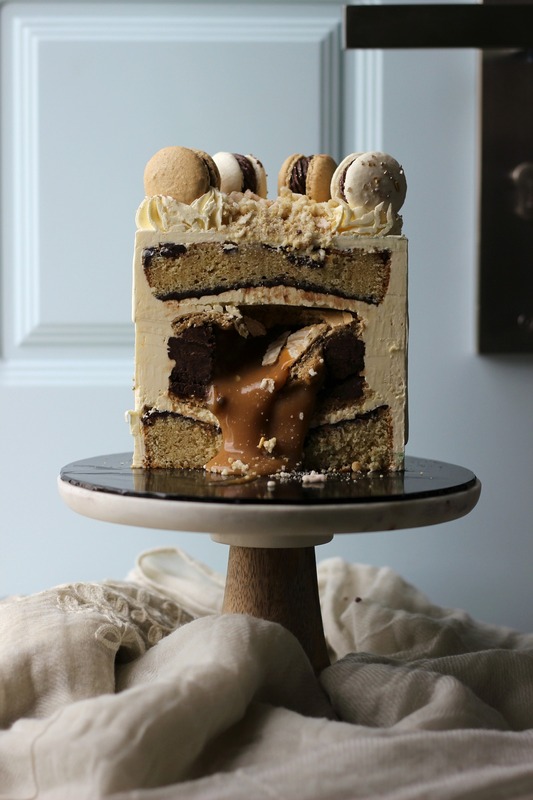 We keep it simple with coffee cake as a base for the smooth fillings of Salted Caramel macaron buttercream, flaked sea salted and chocolate ganache drizzle. 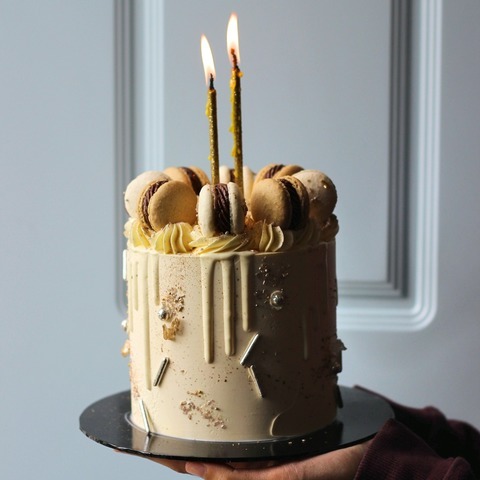 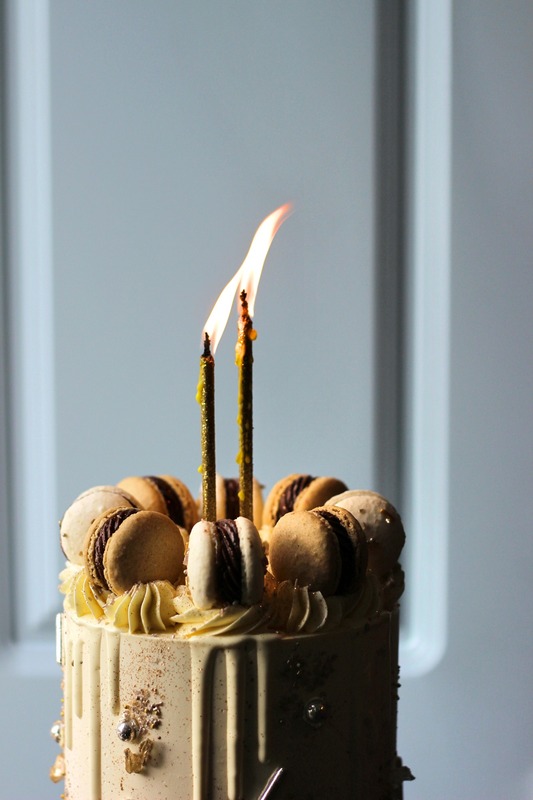 A smooth vanilla buttercream finish, delectable white chocolate ganache drip and cluster of signature B&S macaron peaks make this cake worthy of the coffee jitters. 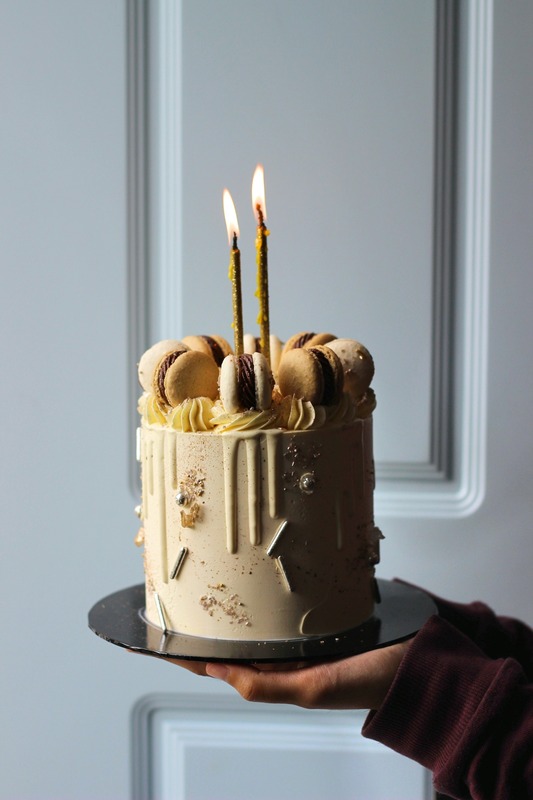 The final touches on this magical cake are splash of gold and shimmery iridescent glitter! *Strictly no custom design/colour or make it any changes on the flavour/theme.